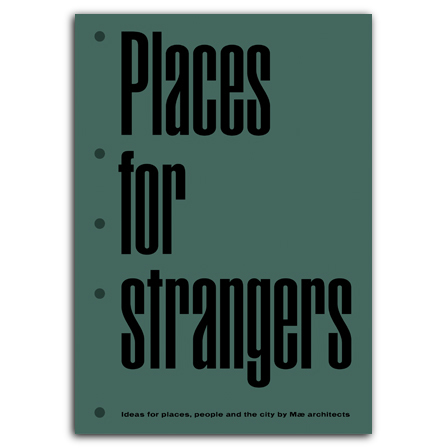 A compelling mixture of manifesto and manual, Places for Strangers builds on the set of principles and attitudes that have long driven London-based Mæ architects to advocate a new position on urban design and architecture, while also elucidating an approach to actually producing critically engaged design. Previously published in other publications and architectural journals or adapted from lectures, the essays featured here are polemic in their nature, aimed at illustrating the sociopolitical, ethical, and formal concerns that must be navigated in architecture today. Complementing the essays are contemporary analyses and revisitations of a number of Mæ architects’ projects that serve to illustrate how the firm’s core principles—themselves always in a state of renegotiation—can be enacted in actual designs and building projects. The result is sure to inspire creative new thinking about architecture and its place in contemporary society. is a writer, editor and curator, and teaches history and theory of architecture at Architectural Association, the Bartlett School of Architecture at UCL, and is a senior lecturer at University of the Arts London Central St. Martins. is an architect and chartered town planner and a partner Mæ architects. He also lectures internationally and has taught at Sir John Cass Facutly of Art, Architecture and Design, London Metropolitan University and the University of Greenwich. is a photographer and academic, whose work has been published and exhibited internationally. He is Senior Lecturer at Sir John Cass Faculty of Art, Architecture and Design, London Metropolitan University. is an architect and Senior Lecturer at University of Brighton. He was a founding member of Mæ architects.